Emer O Mahony and Vivienne McCarthy, Directors CFW present my Award. I am passionate about Irish Design and have actively supported the development of the Irish fashion industry since the beginning of my career - way back in the last millennium ! Through my involvement in KFW (which I co produce with Paul Ruane); Ireland Fashion Showcase New York (co-produced with Marietta Doran and supported by the Year of Irish Design) and the many designers, retailers and boutiques I showcase on the RTE Today Show, I have come to the conclusion that creatively we stand shoulder to shoulder with the very best in the business - but to survive, thrive and critically be commercially successful at home and abroad - the Industry needs a sustained, co-ordinated pro-active programme of on-going incentives and tax reliefs. Fashion is an art form. It both needs and merits government support to grow and to continue to create employment within the community and for the export market. 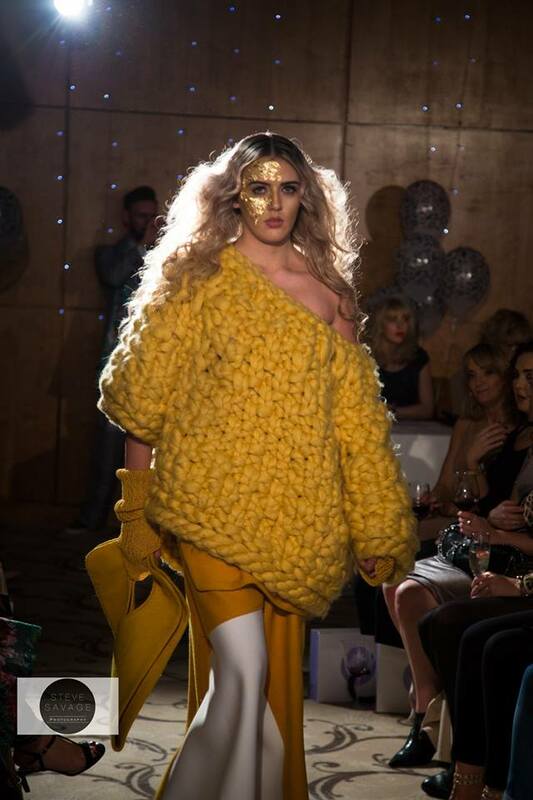 The messages communicated, and the fashion projects birthed and funded by the Year of Irish Design 2015, will have been only tokens, and their potential lost, if meaningful support is not continued. Our most brilliant talents will emigrate and this creative energy will dissolve and our society will be Orwellian grey. Happily, (and thankfully) we don't have to leave this to Government. We have the power - as each of us can make the difference when we shop by consciously supporting Irish designers, retailers and boutiques.